War Eagle Women Mentioned on USA Today: “Must-See Book Trailers”! My Southern gothic novel, War Eagle Women, is mentioned on the USA Today’s website under “Must-See Book Trailers” by Robin Covington. 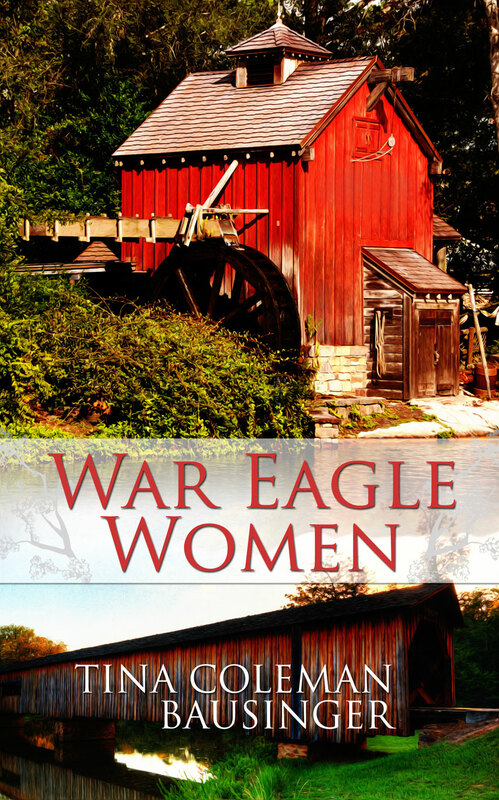 There is something compelling about gripping stories told simply, and the trailer to War Eagle Women by Tina Coleman Bausinger is a perfect example of this. The story revolves around the stories of generations of women — their good and poor choices in life and love — as told to a young woman who hovers between life and death. The video is pared down to a haunting piano melody, stark imagery and an intriguing script. Here’s the link to the article and the trailer. Nothing in writing is done in isolation. The book trailer, entitled “Sam’s Story,” was written and directed by Konner Hudson, a fellow student at the school where I attended and now teach for. We met last summer on a China Immersion Trip sponsored by the school. The piano music that’s featured is composed and performed by Jay Williams, a very talented composition major at UT Tyler as well. My daughters, Sarah and Jordanne Bausinger, also music education majors at UT Tyler, recommended Jay for this and hooked us up. They also were instrumental in acquiring one of the locations. In fact, part of the trailer was filmed in Braithwaite Hall, a small concert hall on campus. We received special permission from Dr. Thrasher, the head of the music program at UT Tyler. And I can’t forget Kalloway Hudson, the lovely actress who plays Samantha. Such outstanding acting. Sometimes, writing and promoting a novel can be harrowing, heart-attack-inducing, and stressful. But other times, it can be what’s it’s meant to be: so much fun. Don’t have your own copy? Here’s the link.